Inclusive leadership is not the latest fashion or fad or HR speak. It’s not a fly-by-night campaign. It’s how leaders harness the benefits of workplace diversity and build organisational success. In practice, inclusive leadership involves ongoing collaboration and leadership behaviour that encourages a diverse mix of experience, demographics, knowledge and thinking styles, in an open and trusting workplace for optimal decision-making. 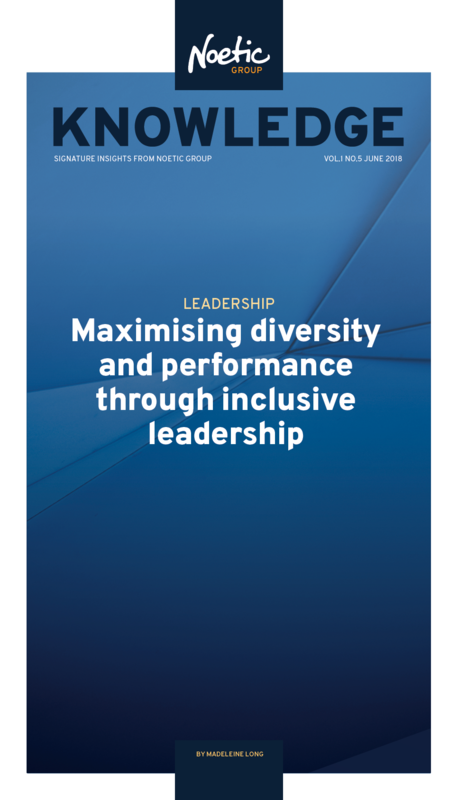 This paper details the link between inclusive leadership, risk management and organisation performance in the modern operating environment. Its purpose is to provide a framework to accelerate progress from diversity to inclusion. In doing so, it provides the context for leaders to understand what the difference between diversity and inclusion is, and the case for applying inclusive leadership. Download the full Noetic Knowledge by clicking here.